‘Supporters of the Not for Profit peak body Refugee Council of Australia (RCOA) have responded to the Federal Government’s cut to the peak body’s core funding – donating $50,000 in two days to its emergency funding appeal. 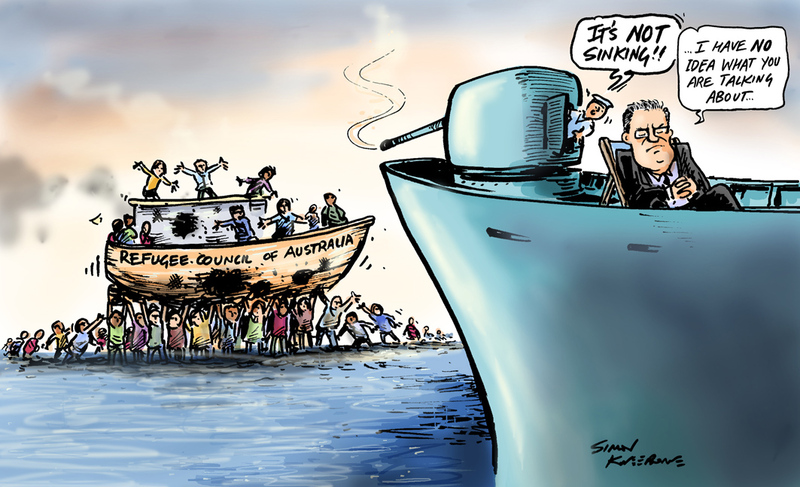 …RCOA chief executive officer Paul Power said that he was still astounded by Minister Scott Morrison’s decision to remove funding that was in the Immigration Department budget that he got through Federal Cabinet just a few weeks earlier. “Mr Morrison’s suggestion that he was not aware that his Department was funding RCOA is difficult to accept,” Power said. Read the full post on the Pro Bono News website here. The cartoon is today’s Pro Bono News NFP Kneebone.